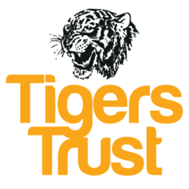 Why has the Tigers Trust joined Working Voices? “We want our workforce to know that as an organisation we care about their health and wellbeing. For us, Working Voices will help us to support our staff by providing useful health and wellbeing opportunities to them, and we will be supported by the CCG in doing so. The Tigers Sport and Education Trust is a charity which aims to make a difference to people’s lives by involving them in sport as it is proven that sport can tackle a wide range of issues such as health, unemployment and crime. Through their work, the Tigers Trust promote the values linked with sporting success, and upskill participants through practical activity. With a workforce of around 40 full and part time members of staff, a large cohort of volunteers and participants, and a high profile association with professional football, the Tigers Trust are an integral organisation to get involved with the NHS Hull CCG Working Voices programme.